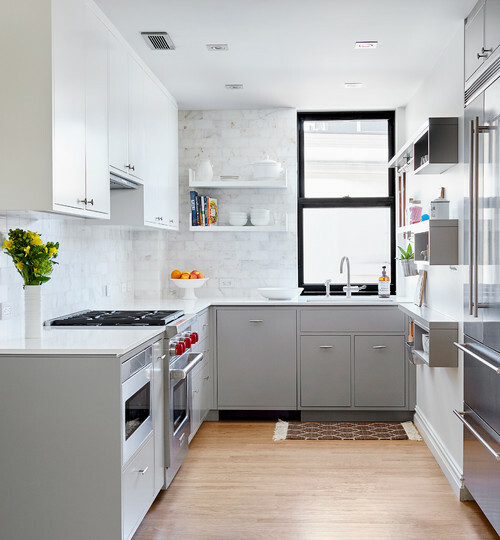 Whether you live in a condo or house, you may be dealing with a smaller kitchen than you’d prefer. A small kitchen can get frustrating when you’re hovering over hot pots on the stove and someone else is trying to get to the fridge! 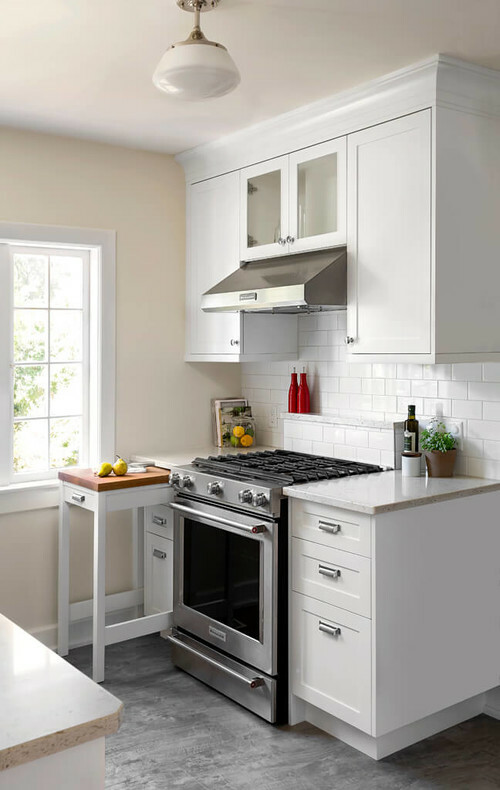 Here are some easy ideas to implement to keep your smaller kitchen in good flow. If it’s counter space you lack, a small kitchen cart can be a lifesaver. And if it has wheels, then even better because you can use it for food preparation and entertaining. If you’re running out of cabinet storage, hopefully you’re lucky enough to have some empty wall space. If so, add a few wall shelves. It adds extra storage and a nice design element. You can use it to showcase your trendy cookbooks and best serveware. 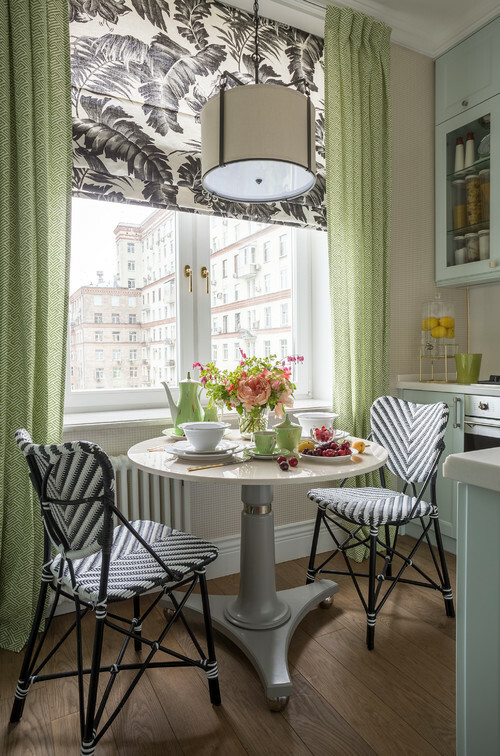 If you’ve got an eat-in kitchen, opt for a smaller table rather than squeezing in the biggest table you can fit. A smaller table brings more space and less clutter to an already tight space. 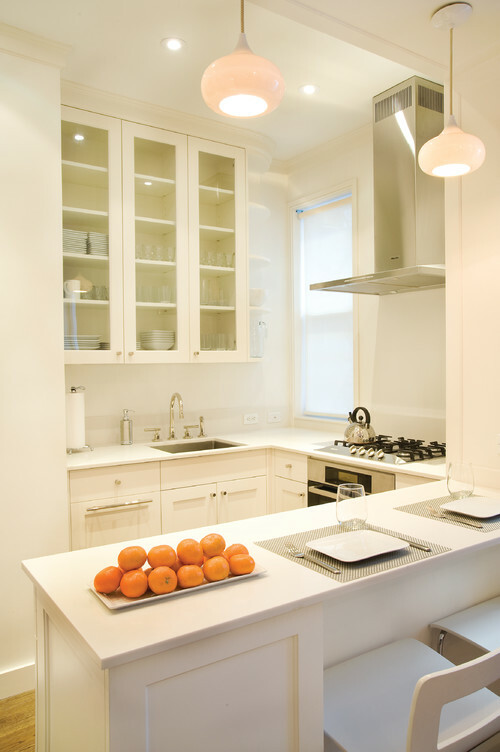 If you’re planning a kitchen renovation, opt for raised cabinetry. The extra bit of storage space will go a long way and you can store items you don’t need frequently in the harder to reach areas. If you’re kitchen doesn’t have much natural light or any at all, pot lights can be an effective way to brighten up the space and make it feel bigger. It’s important to remember that size of kitchen doesn’t matter as much as how functional it is and if provides enough storage. 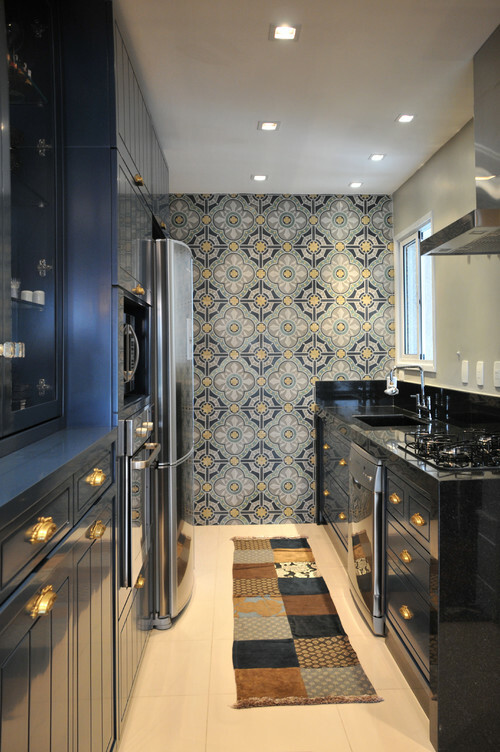 Hopefully, these tips will enable you get the most from your kitchen space!